As India switch from white ball cricket to white flannel cricket, with five Tests against Bangladesh and Australia at home, their Test side, on the back of 4-0 defeat of England and 3-0 whitewash of New Zealand, certainly bears the look of a team being built for the long haul. Led by spin duo of Ravichandran Ashwin and Ravindra Jadeja, backed by the pace of Mohammad Shami and Umesh Yadav, and valuable contributions from Jayant Yadav, Ishant Sharma and Bhuvaneshwar Kumar, the most important aspect of any captain's designs for sustained excellence in Tests is by and large in place for India. Even as Virat Kohli continues to etch his name in the list of most successful Indian Test captains, there are a few kinks to iron out for India to continue their successful run at home and forge much sought after victories abroad to leave a lasting legacy. The biggest question facing him and the team currently is, who should be at numbers 5 and 6? Since the times of Mahendra Singh Dhoni as captain, India has chosen to avoid frequent chopping and changing of players based on immediate returns of runs. They have shown the ability to invest in players and provide them ample opportunities to come good at the international level. Kohli has shown a similar outlook to selection of players, giving them plenty of chances to settle in the side. The obvious choice for the position of No 5 is Ajinkya Rahane. He was out of sorts against the English bowlers before his series was cut short by injury, totaling just 63 runs in five innings including a duck at Mohali. However, since the tour of Sri Lanka in 2015 began, that India won 2-1 rebounding from a demoralising loss at Galle, Rahane has scored four centuries and two fifties in 27 innings. Even as his replacement Karun Nair is fresh off a triple hundred, no player should ever lose a spot that was his without a chance to reclaim it as they return from injury. 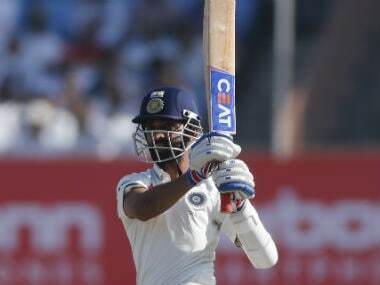 Rahane has come a long way since his disastrous debut in 2013 versus Australia in Delhi, where he looked more like deer caught in the headlights than a batsman that was averaging 50 in first class cricket. He would be looking forward to take on the Aussies for his young career to come full circle, already. He will have to, however, produce the goods in this stretch of five Tests to inspire confidence in himself and his captain that he ought to be the first choice for that slot. Kohli has taken every opportunity to convey that he is willing to risk a shortened batting line up to accommodate the fifth bowler that would provide him the ability to take twenty opposition wickets. While India picked six batsmen for the three Tests versus New Zealand, they decided to add an extra spinner in the five Tests against England. In the latter scenario, the pressure on the fifth spot is increased as more batsmen are vying for a single spot. 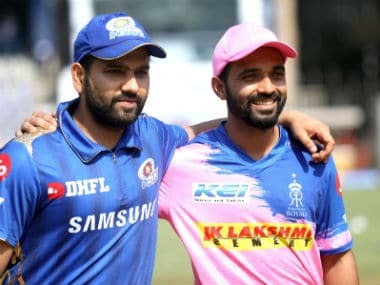 When Rohit Sharma returns from injury, he will once again be in the mix for the middle order spot. If returning from injury and having a chance to reclaim the spot applies to Rahane, it should apply to Rohit as well. 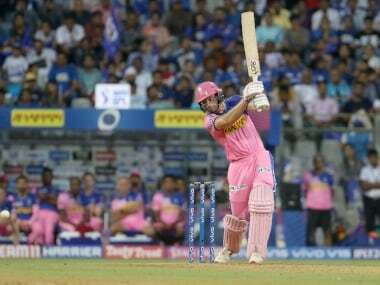 And so, if Kohli decides to have six batsmen in the side, Rohit should have the first dibs on No 6, in which case, Nair will have to wait his turn. There are still more wrinkles. As Kohli has been bold to utilise Ashwin at six, it adds further headaches to those vying for the middle order spots. With four half centuries in seven innings in the series against England and two centuries in the Caribbean, Ashwin has provided the luxury to Kohli to use him as he sees fit. Ashwin has most certainly nailed the spot of the lead spinner in the side (after all he is the No 1 bowler in Tests in the world), and his batting in 2016 has been a revelation, making him worthy of being called the No 1 allrounder in the world as well. India have also included Hardik Pandya in their Test squad who along with Wriddhiman Saha and Ashwin could be playing musical chairs for slots 6 to 8. This allows India to play three pacers and two spinners or four pacers and one spinner combinations as the pitch and conditions warrant, especially as they embark on a long stretch of away Tests beginning late 2017. Pandya's ability to consistently bowl in the 140kph range also means that if India choose to play six batsmen, he could play the role of third seamer while Ashwin takes the lone spinner slot. Of course, when Kohli wants two spinners in the XI, Pandya loses his spot to Jadeja. It's a great sign for Indian cricket that there are so many competitors for such limited spots that it pushes each of those players to perform while the selection policy allows them to do so, without the fear of an axe hanging over their heads perpetually. It's heady times in Indian cricket, at least on the field. As every controversy and distraction drags on off the field and in high courts, the Indian team has been equal in being a source of enjoyment and escape for its fans.